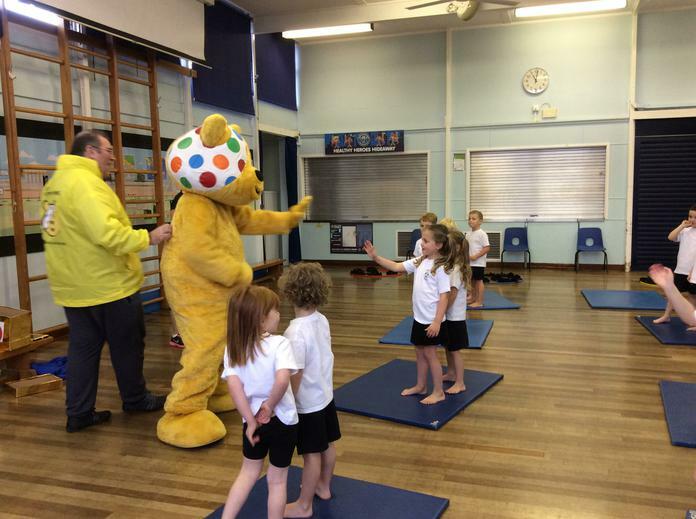 A surprise visit from Pudsey Bear! 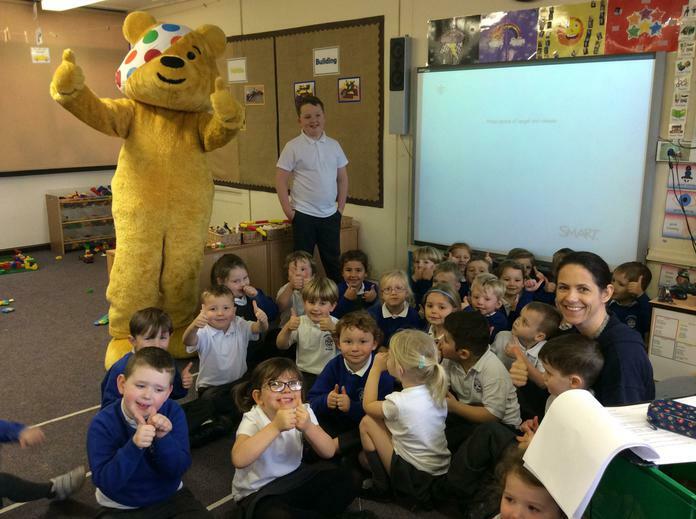 This morning, Mrs Richardson took a surprise phonecall in the school office, to say that Pudsey Bear would be passing school, along with a crew from radio Lancashire, and would it be okay for them to pop into school! 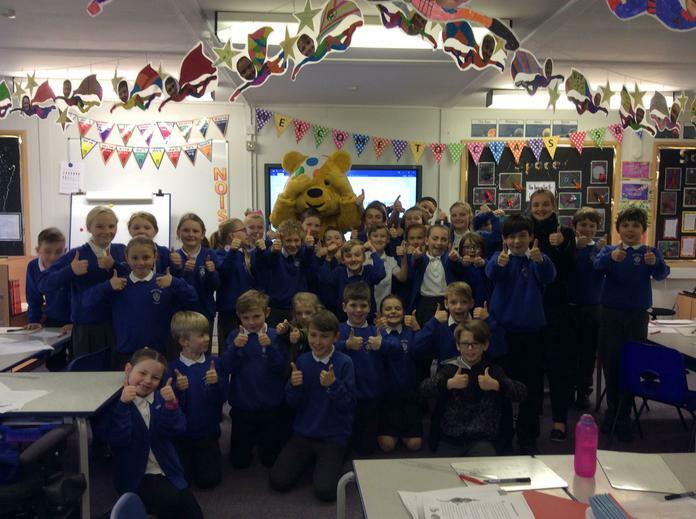 Pudsey met with Mrs Baker and the school council, hearing all about their plans for Children in Need day next Friday, 17th November. 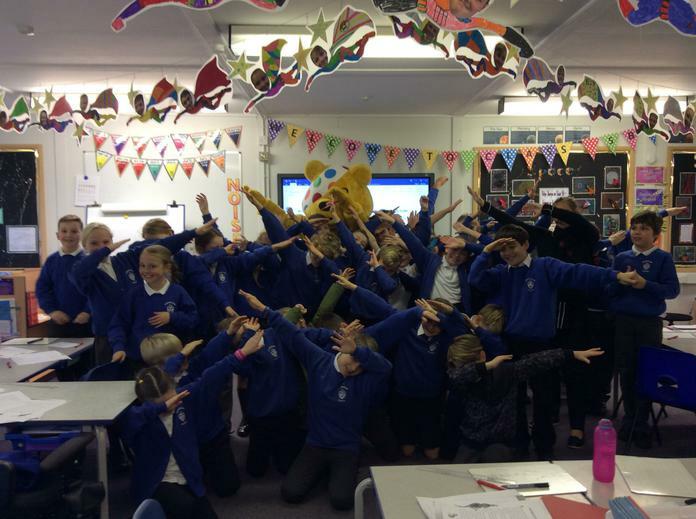 We are holding a non-uniform day in exchange for donations and holding a cake sale at playtime. 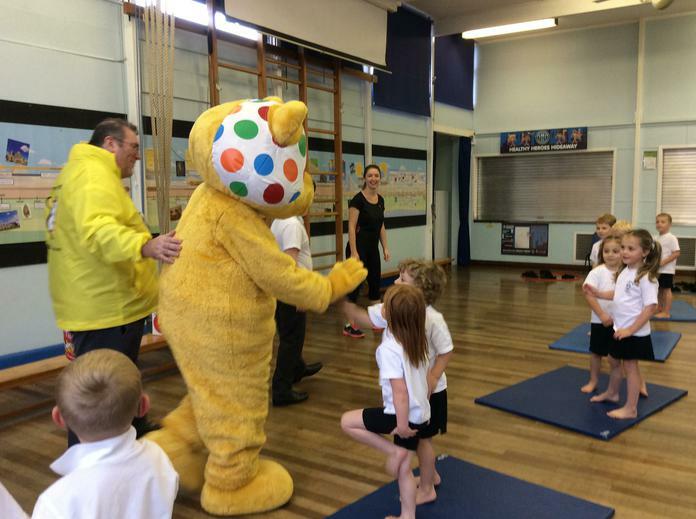 Pudsey called in to the Year 1 and RKD classrooms, as well as visiting 5B, where he joined in with a dab for a photo and joining in with RR's PE lesson in the hall!